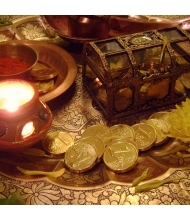 Dhanteras Puja is performed on the day of Dhantrayodashi . Dhanteras translates into wealth on the thirteenth day. 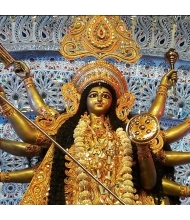 It falls on the thirteenth day of dark fortnight in the month of Kartik as per Hindu calender. Dhanteras represents the celebration of Maa Lakshmi, the one who bestows wealth and prosperity on us. We also pray to Lord Dhanvantri, Lord Kuber and Yama Dev on this day to seek blessings for a long and fulfilling life. As per a legend, there was a prophecy that King Hima’s 16 year old son would die within four days of his marriage as a result of a snake bite. Due to such a startling prophecy, his wife grew worried and did not allow him to sleep. She locked him in a room and filled the chamber with gold and silver coins and Jewellery.When Yama approached at midnight in the form of a snake, his eyes were dazzled with the brilliance of illuminating gold and he could not enter the chamber. The snake crawled to the top of the heap of Gold, but could not reach the king’s son to kill him. The snake quietly went away in the morning. Hence the practice of lighting a Diya for Yama was born to keep the untimely death at bay. Women light lamps to honor Lord Yama – the god of death, by lighting a Diya at the entrance of the house facing south direction, which should be kept lit the whole night. As many as 13 Diyas are lit around the house to keep the house illuminated. 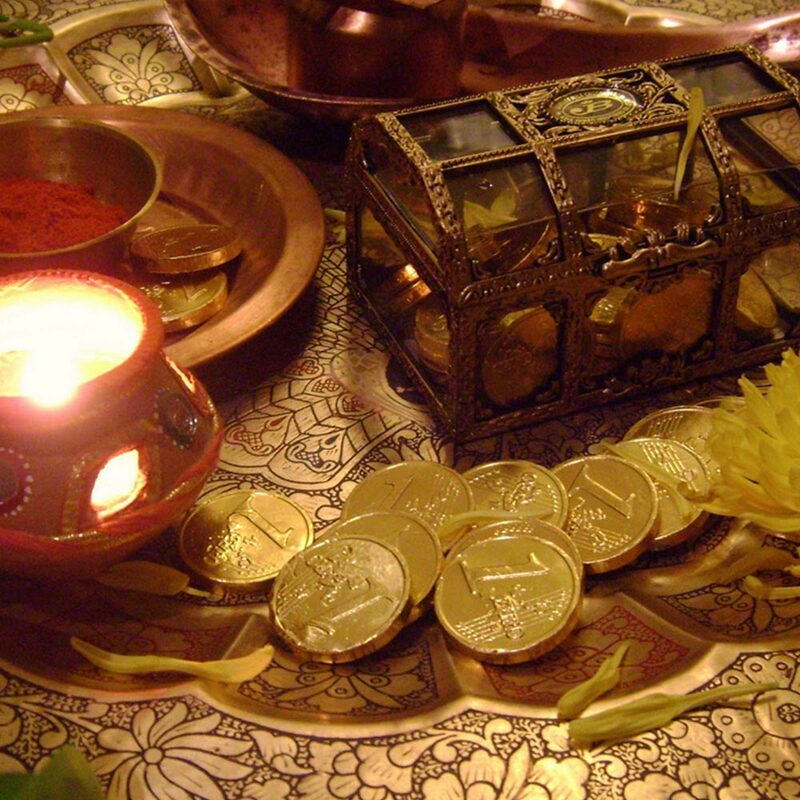 Dhanteras Puja is performed to reap a number of benefits like Gaining Wealth and Prosperity. For financial success in business, new ventures and undertaking Better overall health. Protect children and family membersfrom illness and hazards. The Puja begins with placing low wooden Paat – Aasana , in the most auspicious direction.